February 12, 2018 / LBD "Nytetrayn"
This past weekend proved to be an interesting time for discovery of old Mega Man X info that wasn't even thought to be lost or forgotten, but that a lot of fans probably never even knew existed! I found this to be rather intriguing, in part because I've had this book for nearly as long as it's been out. But not being able to read Japanese, I had no idea there were tidbits such as the existence of so many more Maverick Hunter (or Irregular Hunter, if you must) units, nor that the organization had this seemingly clandestine aura around it. Edit: My mistake; I misunderstood the earlier tweets. Apparently CapKobun mentioned it on account of it being the earliest known resource to provide data on the Hunter Units, albeit imperfectly (it lists Flame Mammoth's as "unknown," despite being stated as the 4th in the game's manual). Naturally, I asked #20 of the Reploid Research Lavatory if he had any insight into this. "This might just pull me out of retirement," he responded, which certainly sounds promising. 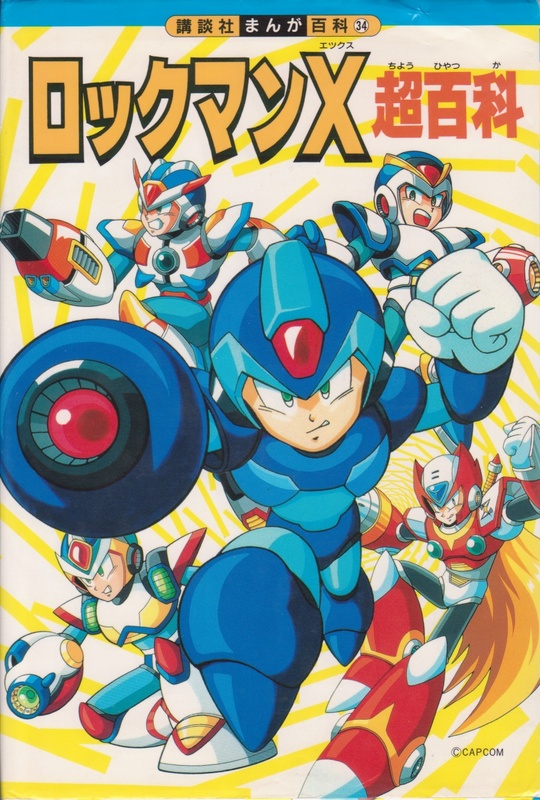 Ichiro Mihara, a planner for Mega Man 5, suggested that the above might have been established between the development of Rockman 5 and Rockman X -- 1993, in other words. "Also seems that they originally planned to have 24 Maverick Hunter Units total, numbered 0 thru 23," #20 says. "However more recent materials have stated there are only 18 (#0-17), and Sigma's 17th Elite Unit was numbered highest." Of note: -Wily using Proto Man as a reference for Zero (was he Proto Man X all along? BTW Bass didn't exist yet). -Wily dies just after completing Zero but before perfecting the Virus. -Zero was turned good by the virus. (MMZOCW had it right). The MM25 art book quotes developer Tsuda who said they brought Zero back in X2 on Inafune's whim, so 1994 is when I thought they expanded Zero's Wily-born backstory. Then again, Inafune said in the same book that some connection with Wily was planned from the beginning. Of course, as with any work of fiction (especially as early as this was in the series' development) these things are subject to change. Even so, it does give us some insight into where they were going early on and how early some concepts were developed. All the same, it's exciting to know that there are still little bits like this to dig up and discover about a series that's as old -- and as thoroughly examined as it has been, which wasn't always the case -- as Mega Man X. Who knows what may yet be revealed in the years (or even days) to come? Updates: Clarified the contents of Kodansha Manga Hyakka 34: Rockman X Chouhyakka, updated chart, and added name credit for the photography of the original document.